Radio transmitters that are carried aboard aircraft and that are supposed to activate only in the event of the aircraft crashing went off in the New York area several minutes before the two planes hit the World Trade Center on September 11, 2001. In events that, according to the official account of 9/11, should have been impossible, emergency locator transmitters (ELTs), which are intended to help locate crashed aircraft by broadcasting a distinctive signal, were activated over two minutes before American Airlines Flight 11 hit the north WTC tower and over four minutes before United Airlines Flight 175 hit the South Tower. And yet no ELTs went off at the times these planes hit the towers, when we might have expected them to have been activated. However, while an ELT went off minutes before Flight 11 hit the WTC, it appears that no ELT went off at the time of the crash itself. United Airlines Flight 175 hit the South Tower of the World Trade Center at 9:03 a.m. and 11 seconds. 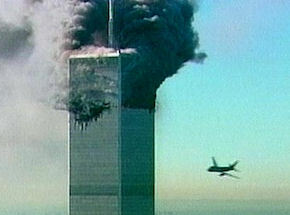 But, as with the first crash, an ELT was activated in the New York area several minutes before this plane hit the tower. As with the previous crash, although an ELT went off minutes before Flight 175 hit the South Tower, it seems that no ELT went off at the time of the crash itself. McCormick also told the 9/11 Commission that ELT signals sometimes "happened accidentally," and that "the vast majority are false alarms." However, this could not have been the case with the signals before the WTC crashes. None of the air traffic controllers who were involved with monitoring Flights 11 and 175 have reported any planes' ELTs going off by accident around that time. And for one plane in the New York area to have its ELT set off accidentally just before Flight 11 hit the WTC, and then the ELT on another plane in that area going off accidentally just before Flight 175 hit the WTC, would have been too big a coincidence to be plausible. The strange evidence of emergency locator transmitter signals being broadcast in the New York area before the World Trade Center towers were hit raises serious questions about the official account of the 9/11 attacks. According to that account, if ELTs had been activated, this should have been at the times the planes hit the towers, not several minutes beforehand. The evidence appears inexplicable, and so proper investigation is imperative to make sense of it. But while a number of air traffic controllers mentioned the ELT signals in their interviews with the 9/11 Commission, the 9/11 Commission Report offered no explanation for this anomalous evidence. Many questions remain unanswered. For example, were the sources of the ELT signals ever determined? If so, did the signals indeed come from the planes that hit the WTC, or were they from somewhere else? And were the transmitters themselves ever found? After all, according to the FAA, "In most installations the [ELT] is attached to the aircraft structure as far aft as practicable in the fuselage; or in the tail surface, in such a manner that damage to the beacon will be minimized in the event of a crash impact." So the transmitters should have survived the crashes, if they were in the planes that hit the Twin Towers. If the ELTs were found, then, were they indeed in the rubble of the World Trade Center? Or were they somewhere else? We clearly need to know a lot more, since a proper investigation of these emergency signals could help determine what exactly happened on September 11, and point investigators toward those really responsible for perpetrating the terrorist attacks. 9/11 Commission, The 9/11 Commission Report: Final Report of the National Commission on Terrorist Attacks Upon the United States. New York: W. W. Norton & Company, 2004, p. 7. "Transcript of United Airlines Flight 175." New York Times, October 16, 2001; "Memorandum for the Record: Federal Aviation Administration (FAA) New York Air Route Center Interview With David Bottiglia." 9/11 Commission, October 1, 2003; "Sensitive Security Information: Chronology of September 11, 2001." Federal Aviation Administration, n.d.
 Lynn Spencer, Touching History: The Untold Story of the Drama That Unfolded in the Skies Over America on 9/11. New York: Free Press, 2008, p. 50. "Memorandum for the Record: Federal Aviation Administration (FAA) New York Air Route Center Interview With Peter McCloskey." 9/11 Commission, October 1, 2003. FAA Audio File, Herndon Command Center, Position 14. Federal Aviation Administration, September 11, 2001. FAA Audio File, New York Center, Position R42, 8:51 a.m.-9:10 a.m. Federal Aviation Administration, September 11, 2001; "Memorandum for the Record: Federal Aviation Administration (FAA) New York Air Route Center Interview With David Bottiglia"; "The Hunt for American Air Eleven After WTC 1 is Hit." 9/11 Commission, n.d.
 Christopher G. Morris (Editor), Academic Press Dictionary of Science and Technology. San Diego, CA: Academic Press, 1992, p. 739; U.S. Army Field Manual FM 3-04.300: Airfield and Flight Operations Procedures. Washington, DC: Headquarters, Department of the Army, 2008, p. E-6. "Regulatory Brief: Emergency Locator Transmitters (ELTs)." Aircraft Owners and Pilots Association, January 22, 2009. "Memorandum for the Record: Federal Aviation Administration (FAA) New York Air Route Center Interview With Paul Thumser." 9/11 Commission, October 1, 2003. "Memorandum for the Record: Federal Aviation Administration (FAA) Interview With Terry Biggio, Facility Deputy Manager, Boston Center." 9/11 Commission, September 22, 2003. "Memorandum for the Record: Federal Aviation Administration (FAA) New York Air Route Center (ZNY) Follow-up Interview With Mike McCormick." 9/11 Commission, December 15, 2003. "Memorandum for the Record: Federal Aviation Administration (FAA) New York Air Route Center Interview With Mike McCormick, Air Traffic Manager." 9/11 Commission, October 1, 2003. Note that while ELTs are activated in a majority of aircraft crashes, they are not perfect, and have sometimes failed to go off when planes have crashed. See "Regulatory Brief: Emergency Locator Transmitters (ELTs)." "Emergency Locator Transmitters." Federal Aviation Administration, April 2, 1990. "Memorandum for the Record: Federal Aviation Administration (FAA) New York Air Route Center Interview With Paul Thumser"; "Air Force Rescue Coordination Center." U.S. Air Force, November 12, 2008. "Memorandum for the Record: Federal Aviation Administration (FAA) New York Air Route Center Interview With Paul Thumser." thank you, very good job! I would love to see more visitors of your blog! The first explosions at the pentagon were 5 minutes before whatever-it-was hit. The clock in the Smithsonian Museum taken from the pentagon impact site has stopped at the time of the explosions, before the impact.